Hey everybody! I'm so happy its Friday! I've had a slow couple weeks of sewing with family being in town visiting, but now that everybody's gone back home, I plan to cut, sew and repeat all weekend long! I started on some wide leg linen pants yesterday that I can't wait to finish up and share! 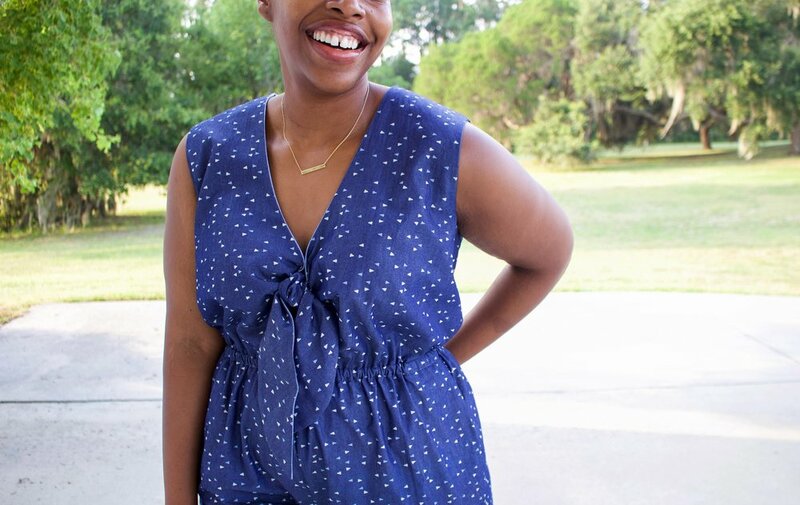 Todays look is all about my new jumpsuit I made using this denim (Vice Versa) from Art Gallery Fabrics, so lets get into it! Garments that have a tie detail are super popular right now and I am so here for it! I've recently made three garments with tie straps and even though I say I'm not making anymore....I really can't be trusted! LOL! Its such a cute and summery detail to me! For my jumpsuit, I went with McCalls 7756 and I love it. It has different leg length, sleeve options and pockets on this pattern. I really wanted to go with View B and add the sleeves, but I had just enough fabric for View A, the sleeveless version with View B length! I love that the jumpsuit gives me the comfort and coverage that I want while still been trendy. For size, I cut the size 16 for the bust and graded to the 18 for the hips. After making it, I realized the bodice was a little big and I probably could've cut the 14. Luckily it has an elasticized waist, which helps the bodice to not look too big and I also just tied a little more fabric in with the front ties. The fabric I used for this jumpsuit is a denim from Art Gallery Fabrics. I'm totally having an Art Gallery Fabrics week y'all! Yesterday post, was all about my mommy and me look using Mister Domestic Loved To Pieces fabric (Striped Flow Rainbow) collection with Art Gallery Fabrics! That fabric was amazing to work with, and so was this! I love the weight of it, very similar to a chambray, and the print is so cute! I plan to get a lot of wear out of this jumpsuit this summer! I've already wore it out with my white keds and a crossbody bag! LOL! 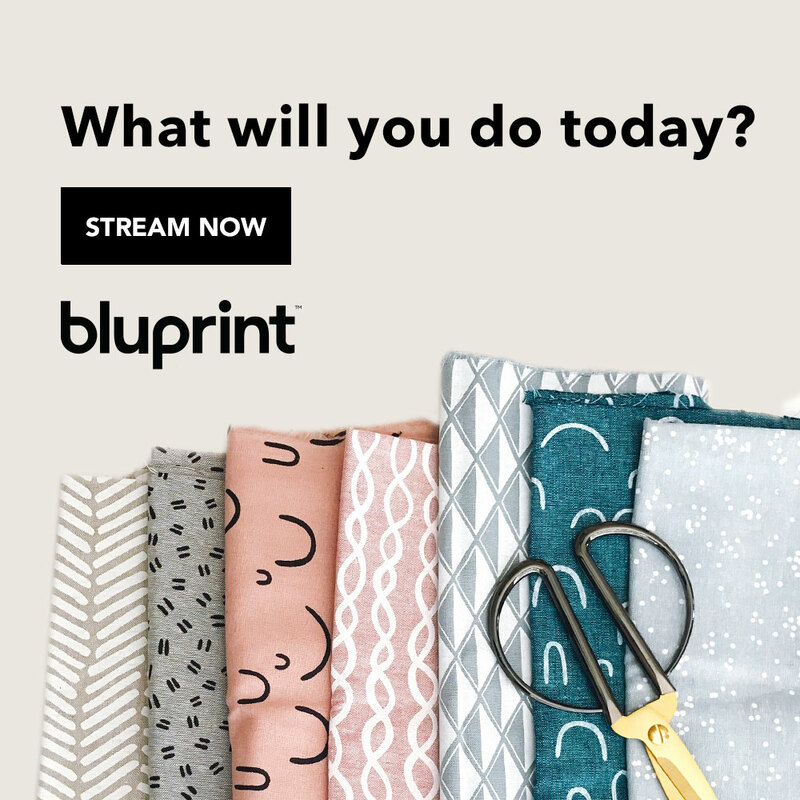 Overall, I would definitely recommend this pattern! The instructions are well written and easy to follow! 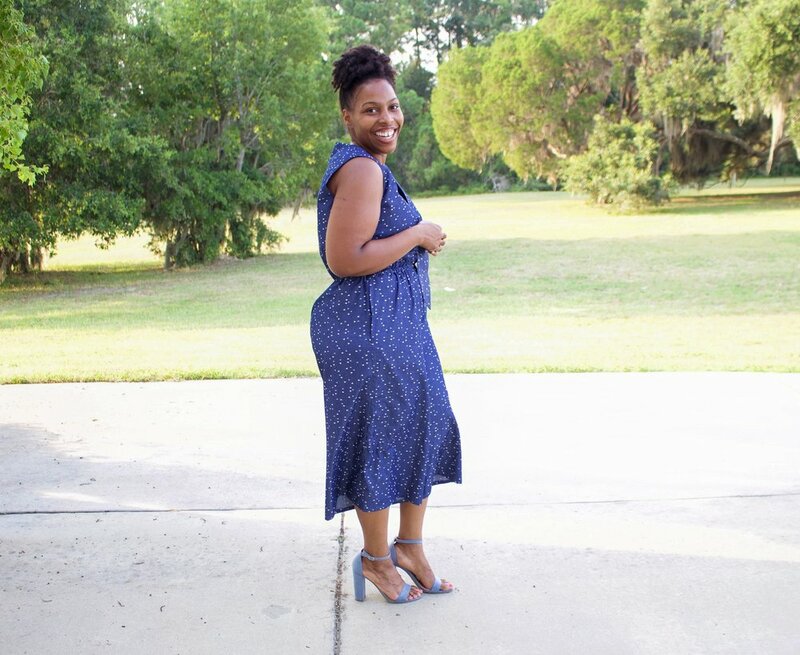 You don't have to worry with zippers or buttons which makes for a great jumpsuit that you can quickly throw on and look great in during these hot summer months!